Hello and welcome my friends to a very special blog hop. 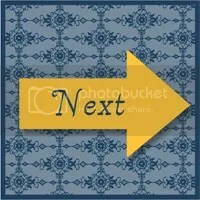 If you are traveling in the usual direction you’ve arrived from Yapha’s blog. Yapha is a very special and creative lady and one I’m blessed to call a friend. Her creations fill many of my Pinterest folders and especially when it comes to special Jewish holidays she’s the one I turn to first for a creative jolt to the mojo. Being now older and wiser and with busier lives we came together with a number of other friends some Jewish and some not but who love and appreciate those traditions, to create a quick and easy series of Jewish Holiday themed hops. Today is our first for this year!! Today we are celebrating Rosh Hashanah – The Jewish New Year holiday. Wondering what exactly that is? You can learn more about it here. With Rosh Hashanah a mere 7 days away (Oct. 2-4) we want to inspire you in your preparations of heart and home and perhaps to create a card or home decor item of your own. As is usual with most blog hops you can follow the hop in either direction using the arrows provided or use the list of hoppers at the bottom of the post to check in with any stops you might have missed. Enjoy! Tools & Adhesives: Big Shot, Pretty Paisleys Embossing Folder, Blender Pen, Dimensionals, SNAIL, Tombow Liquid Multipurpose Glue. Do you ever make a card that just makes you feel good. Something soft and meaningful with perhaps a touch of country style? The end result of this project did that for me. When I started I had a completely different design in mind. Then I saw the new Pretty Paisleys embossing folder and it took me in a totally different direction. 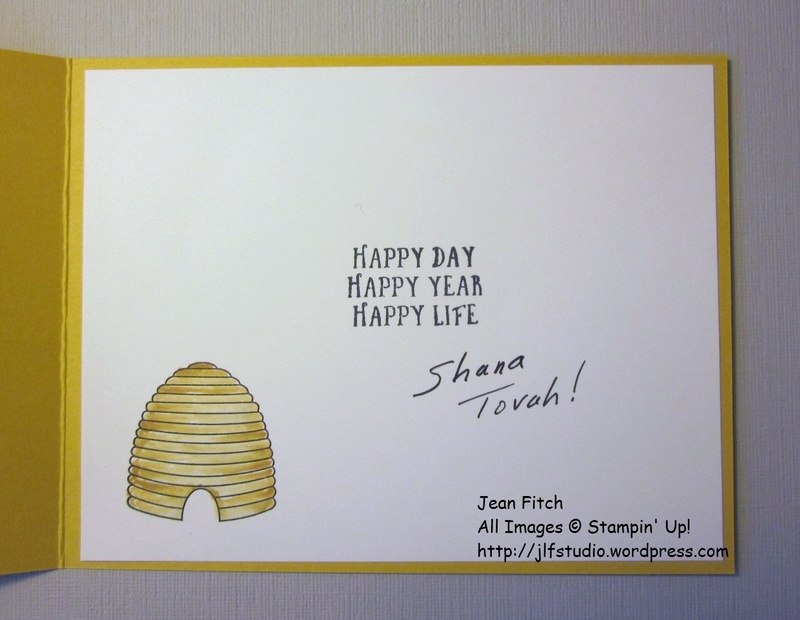 Being a card for Rosh Hashanah I was pretty sure I wanted to use honey and apples in some form and reflect on blessings for the New Year for those I love as well as myself. 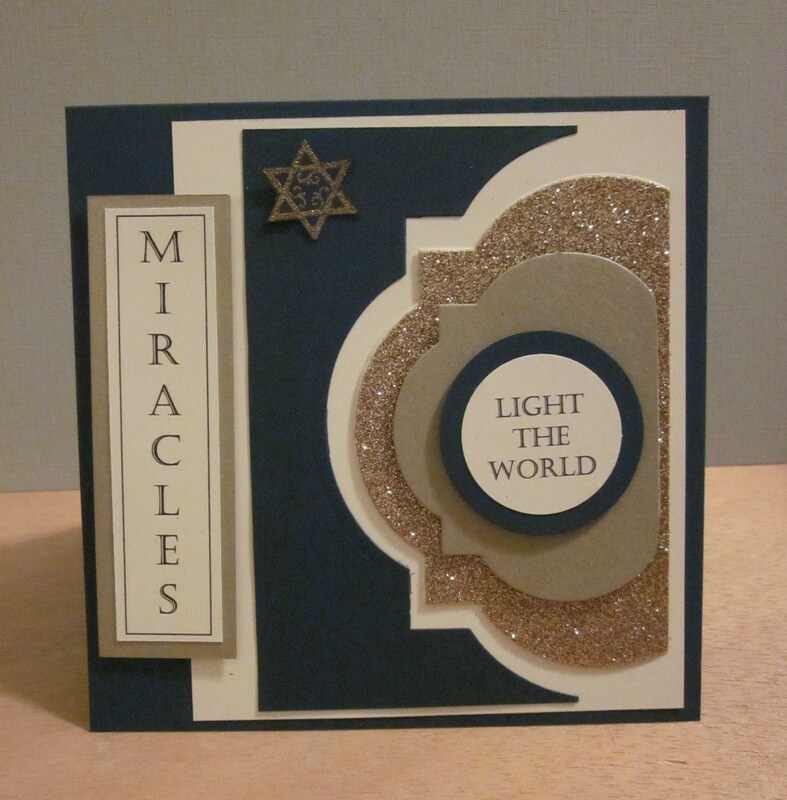 Whether you are Jewish or not…celebrating this holiday or not…I think you’ll find this design works for many occasions and the blessings you would wish for another to whom you would send this card. May your life be sweeter and filled with a new purpose and a renewed relationship with He who made us in the New Year. Added Note: We had a bit of a hiccup with a couple of the blogs and their platforms so really…this isn’t the end. 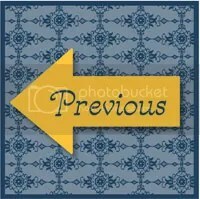 Please scroll down to the link list and check out Liz and Debby’s blog posts for the hop now that the links are working. That’s the end of the hop ladies and gentlemen. Please feel free to circle back through for a closer look and to leave some comments. If you have an questions please feel free to leave them in the comments or send an email to the project blogger. We’re always happy to share our love of stamping. May your New Year be sweet and your desk full of inspired stamping. 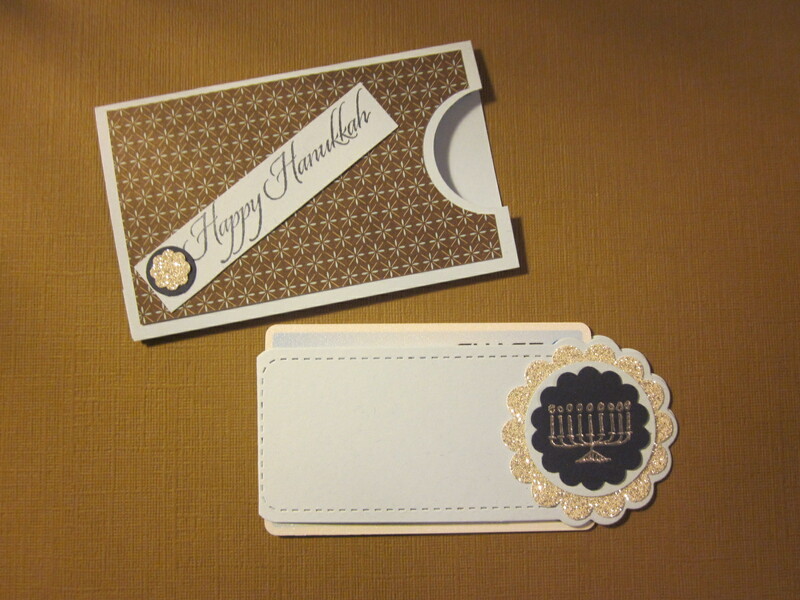 Today is the last day of our first ANNUAL Hanukkah Blog Hop! We are overwhelmed with the extremely positive response we have received about this hop and all the amazing projects! We hope you were inspired to create and think outside the box when it comes to Jewish related projects! Watch out for future Jewish themed hops…we’ve already discussed one for Passover which is at the end of March 2013! Thank you to everyone who have visited the first 8 days of the hop. We hope you have enjoyed all the projects and found lots of inspiration! If this is your first visit, go back and visit Day 1, 2, 3, 4, 5, 6, 7 and 8. Lighting the Menorah is the central Mitzvah of Hanukkah. We light the Menorah to remember the Miracle that happened when the Jewish rebels (the Macabees) took back the Holy Temple from their conquerors. The enemy had done everything that they could to defile the Temple, including bringing idols into the Temple. The Macabees cleaned and restored the Temple service. They had only one small flask of the special olive oil that was used to light the large golden Menorah in the Temple. Miraculously, the small flask lasted for 8 days. The Rabbis made this 8 day period into a holiday, now known as Hanukkah. They decreed that it would be celebrated by lighting an 8 branched Menorah, and increasing its lights each day to commemorate how the miracle became greater with each day that the oil continued to burn. It’s hard to believe we’ve arrived at the last day of the blog hop and the beginning of Hanukkah. I came across this music video as I prepared for our final posting. The snowflakes and light in all it’s forms caught my eye. I invite you to listen and enjoy as you read through the rest of the post. To let it create the background and “light” as you continue with our Celebration of the Festival of Lights. As I watched and listened to this video the importance of light and of miracles, it’s beauty and its many qualities sank into my heart and soul. As we begin the celebration of Hanukkah…the Festival of Lights and the miracle it commemorates all of us on the hop have chosen to celebrate light and in particular the light of the candle and all it represents in celebrating this special time. Particularly the shamash. The servant candle that lights all the others, that does the work so that the others remain a pure and holy expression of the miracle. A light by which no work must be done (except by the servant candle) or made practical use of. Can you tell that the partial die cuts are intended to represent the flame of the shamash and the other candles with the candle itself implied? That’ what was in my head anyway. 😀 The miracle that multiplied the oil and kept the flame burning for eight days. This is completely my own design though influenced by a sense of kinship with some of my favorite graphic artists from the 60’s and 70’s such as Corita Kent in some of her more restrained work. 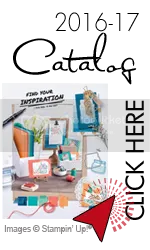 Other: Big Shot, Window Frames Framelit, Stampin’ Trimmer, Simply Score, Printer, Snips, Gold Embossing Powder, Heat Tool, embossing buddy, Dimensionals, Snail, glue dots. Much of the text used was created digitally with Word and the fonts on my computer. 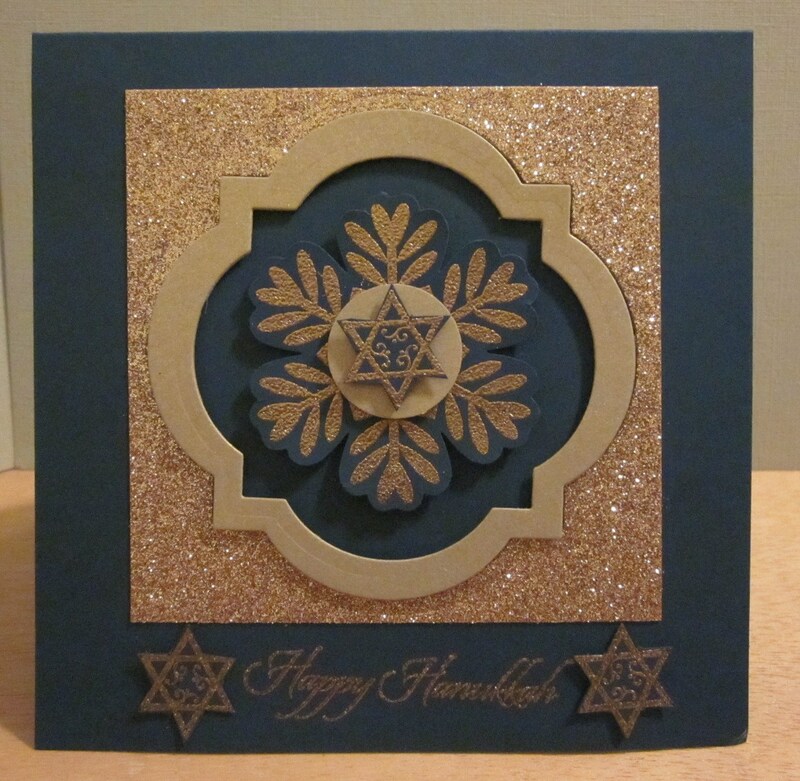 The Star of David is from Jewish Celebrations and is heat embossed with gold (what else would expect with a celebration of light…right?). The rest is basic layering and die cut pieces using the Window Frame Framelits (some of them trimmed). 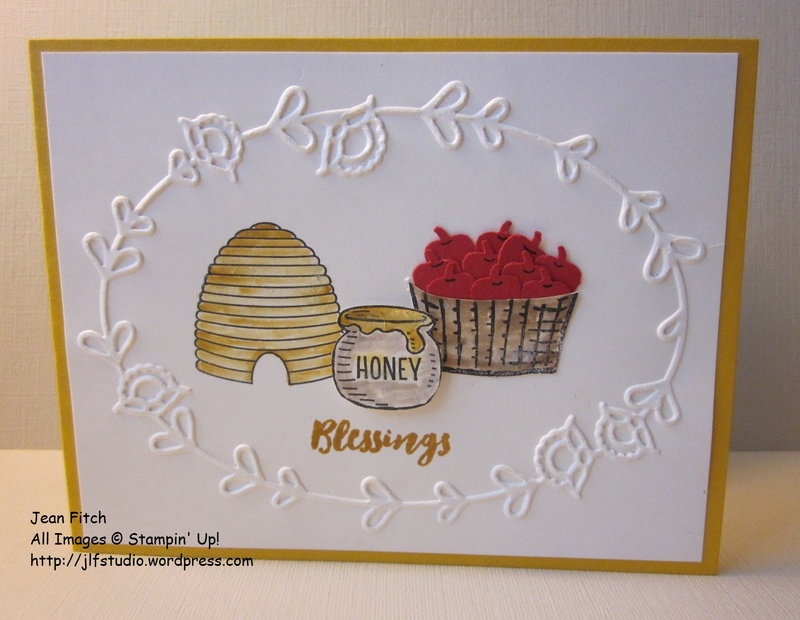 Other: Big Shot, Window Frames Framelit, Stampin’ Trimmer, Simply Score, Snips, Gold Embossing Powder, Heat Tool, embossing buddy, Dimensionals, Snail, glue dots, Tombow Liquid Glue. Again mostly die cutting, heat embossing with gold and punching then layering. 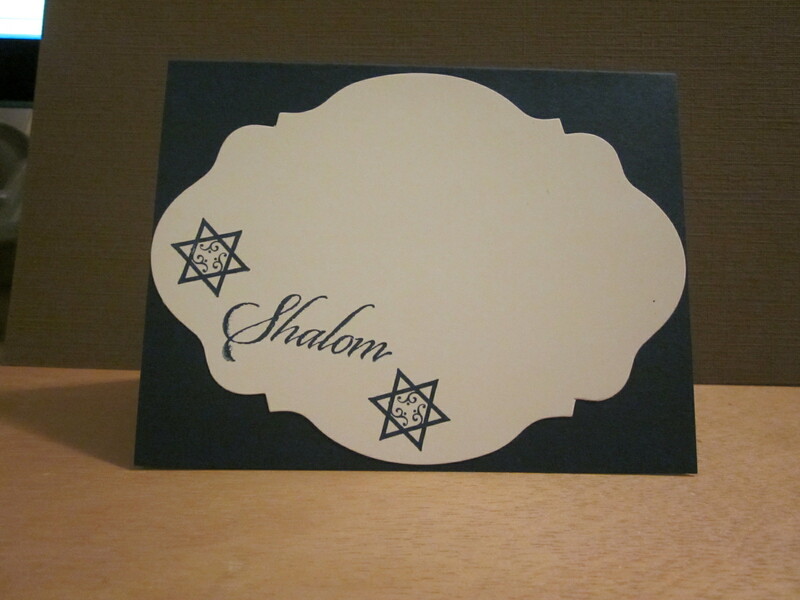 The Star of David images are hand cut with the Snips, my favorite hand powered cutting tool (next to punches!). Lots and lots of dimensionals in this card as I wanted all the various layers to float. Only the base square of glimmer paper is layered direct to the card with Tombow. The rest all uses dimensionals. Tip: For the narrow frames…cut your Stampin’ Up dimensionals into thirds! Perfect width! What would Hanukkah be without presents right? 😀 Here’s a Gift Card Holder that matches in style and images (to some extent, the Snowflake Window Frame card above. Works actually for any time of the year. Saturday at Stamp Camp in fact several made variations for the men in their lives as birthday gift holders. 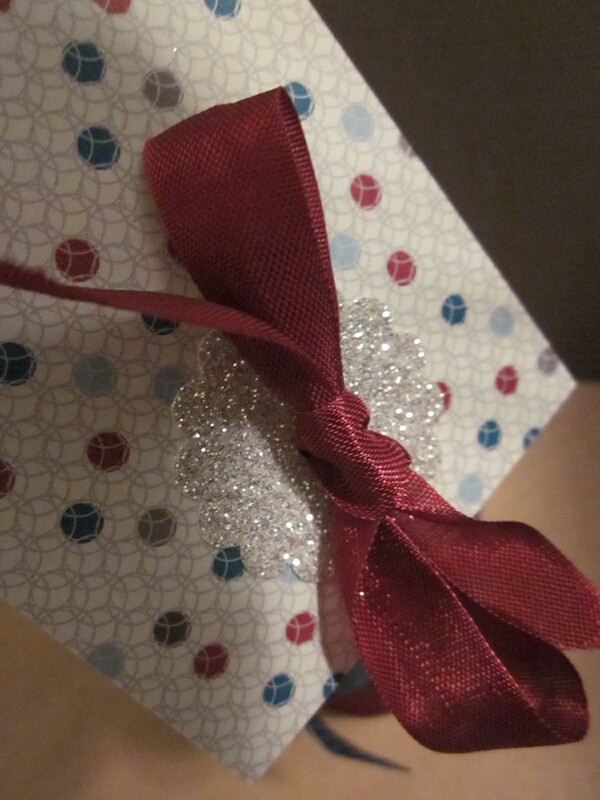 The pocket inside will hold the gift card in either direction long side or short side. In many ways this is a CASE of my friend Jackie’s Llama blog Hop Card from a few weeks ago. You can see that card here. Next week I’ll share a few more variations along with the directions for the most basic version. Other: Big Shot, Window Frames Framelit, Stampin’ Trimmer, Simply Score, Snips, Gold Embossing Powder, Heat Tool, embossing buddy, Midnight Muse Stitched Satin Ribbon, Piercing Tool, Piercing Mat, Festive Paper Piercing Pack, Dimensionals, Snail, glue dots, Tombow Liquid Glue. Again mostly die cutting, heat embossing with gold and punching then layering. The large underlayered snowflake is actually a series of the smaller snowflakes cut in half and slide under the window frame die cuts with glue dots. The small For You is from Mixed Midley (HolidayCatalog hostess) and the inside text is from Rejoicing with You from the Annual Catalog. 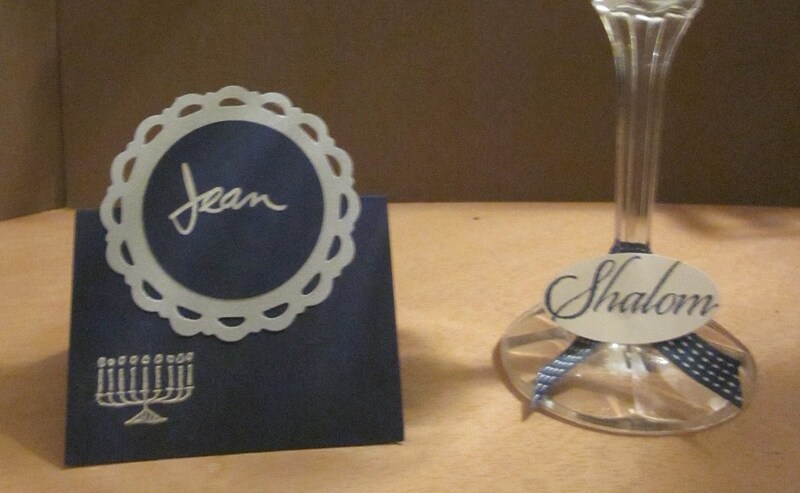 The card shape is cut with the largest Window Frame Framlet with the card fold placed just below the cutting edge. Have you guessed yet that I’m in love with the color Midnight Muse, the Champagne Glimmer Paper and the Bold Snowflake single stamp from the current Single Stamp Promotion? Both the Glimmer Paper and the Bold Snowflake stamp go away January 2nd. Make sure you get yours before then! And lastly…I’m dating myself with this next music video. Peter, Paul & Mary have been a part of my life almost from its beginning. I’ve sung, cried, learned and grown from their music and its message. I’ve been privileged to attend some concerts in person too and each time at each concert they shared this song, Light One Candle. I found this YouTube recording made at Hanukkah time as far as I can tell and the message dovetails perfectly with the song and sentiments from the first video I shared today. Enjoy this blast from the past…and if you celebrate or find meaning in Hanukkah don’t forget to light the one shamash candle and the others each night of this wonderful Festival of Lights. Fill your homes and the world with light in your hearts and in your life. Whatever your faith or leanings we can all use a little light and find meaning in the sharing of it. I hope you’ve enjoyed our first Annual Hanukkah Hop. We’ve all enjoyed sharing the Festival of Lights in all its bright and shining aspects with you. We’re discussing the possibility of a Passover blog hop as well as what we might have in the works for next year! Happy Hanukkah to you all! Wishing you a year of light, love and joy. Make sure to come back and visit us again on Sunday the 9th, for our final day of our Hanukkah Blog Hop! Thank you all for your patience. WordPress is back to working again afer over a day full of issues. Enjoy! Thank you to everyone who have visited the first 7 days of the hop. We hope you have enjoyed all the projects and found lots of inspiration! If this is your first visit, go back and visit Day 1, 2, 3, 4, 5, 6 and 7. Wow…totally loving Miriams take on Hanukkah gifts. I love washer jewelry and as a gal with long bangs I love barettes too! Thanks Miriam for sharing that. By making the box in the shape of a house I thought it would also be a potent reminder of hearth and home. So I took out an idea from my 2011 convention file that I used last year to make my Big House. Then…I saw a video by fellow demo Kelly Kittelfinger. She’d taken the same house pattern I’ve used before and altered it slightly for size and ease of construction. Brilliant gal also figured out how to get two mini houses out of 1 sheet of paper! That sent me down another path…neighbor gifts! 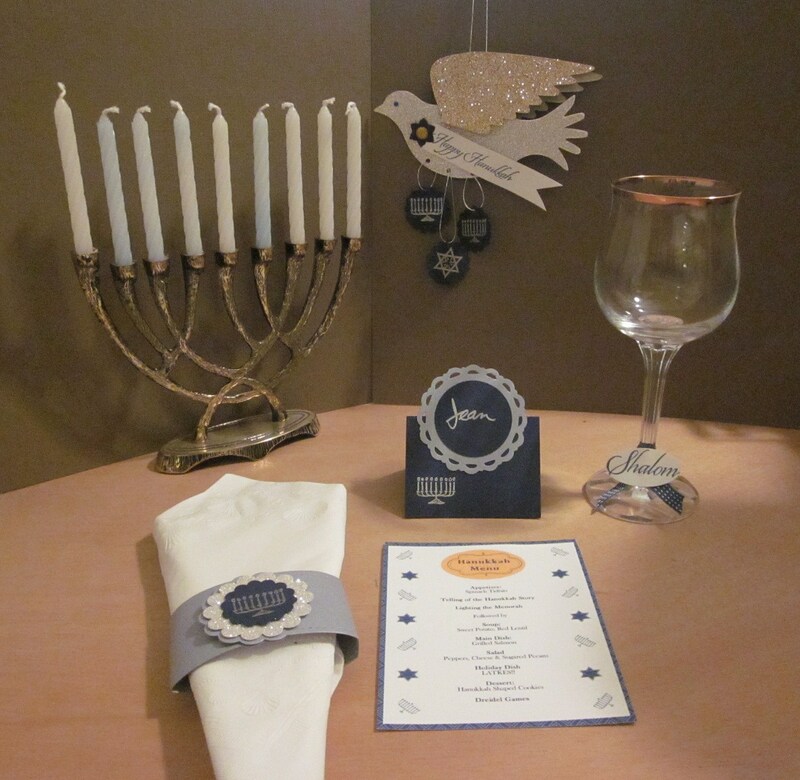 There are so many opportunities to share the love and what better occasion than Hanukkah. Of course you can also make a whole little village just to add to your own house’s decor. Start simple…or go slightly larger. The single cookie pack is the one that was supposed to be included with my table setting from Day 6 of the hop. Oops. I think I mentioned that I wanted to send guests home with a sweet treat to kindle the thoughts and memories of the celebration. Works for a neighbor gift as well. 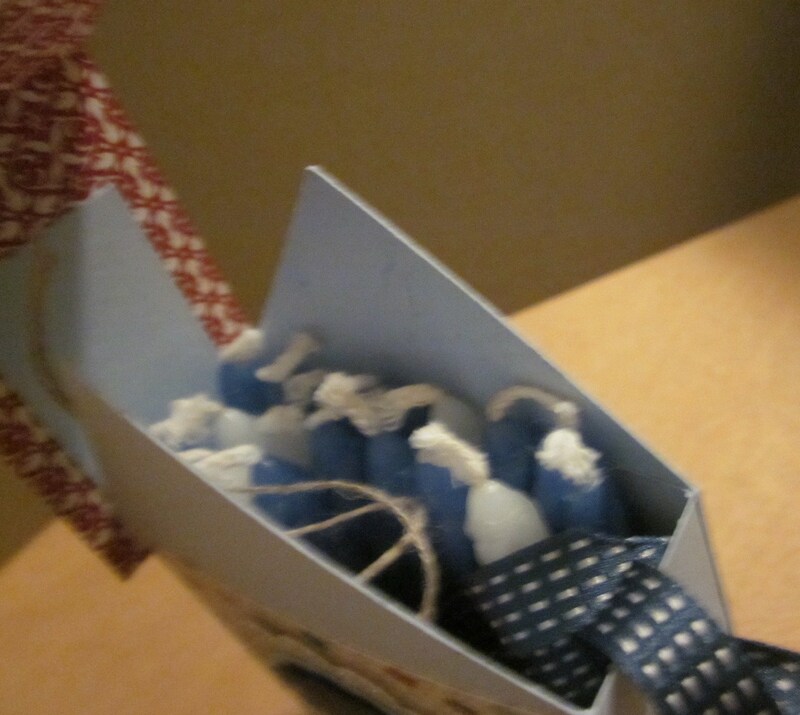 Or at a luncheon, in a lunchbox, anytime really that you need a thinking of you type gift. After all…who doesn’t like cookies. Of course Miriams lovely gifts would fit in here too. 😀 You can even add a star ornament tag if you happen to have gone overboard with the star folds like yours truly. Other: Big Shot, Window Frames Framelits, Simply Score, Stampin’ Trimmer, Midnight Muse Stitched Satin Ribbon, bone folder, Sticky Strip, Glue Dots, Snail, Cookie in Saran wrap. Die cut window frame using Big Shot and Window Frame Framelits placing the die in the middle section of the three scored sections. Fold around cookie and tie with ribbon (add a bit of sticky strip or snail to the back flap to help hold closed if desired. 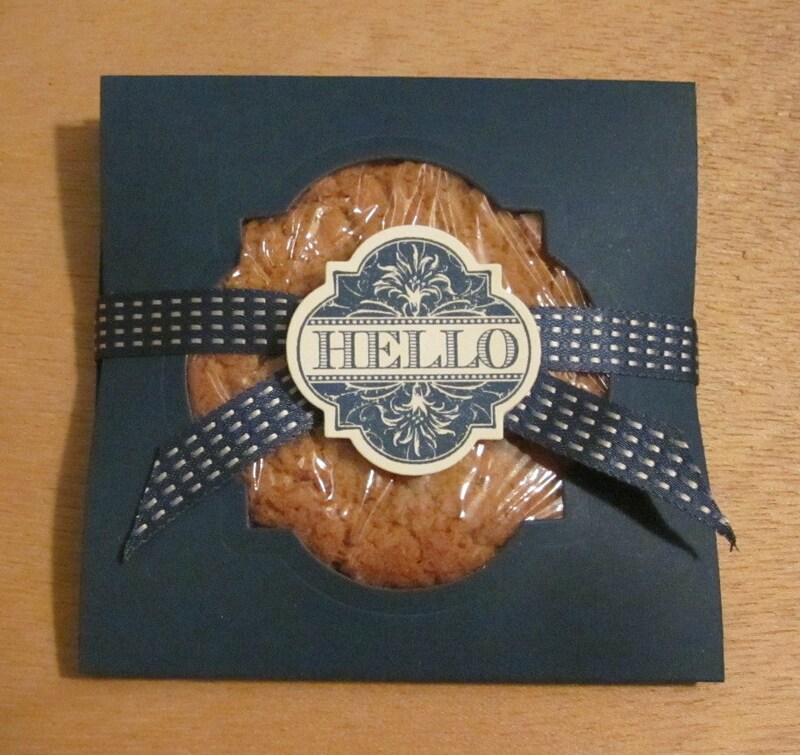 Stamp Hello image (or other) from Friendship Preserves. 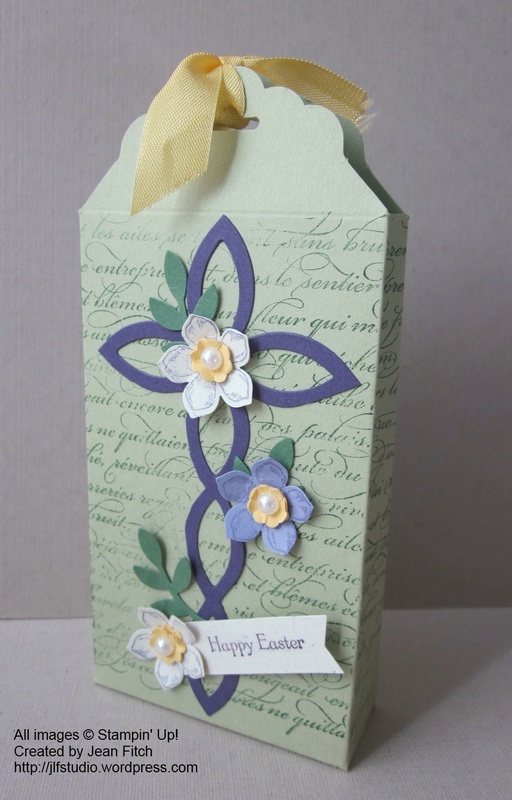 Die cut with framelit and attach with glue dot. Similar packets can be made with 12×12 sheets. Depending on the size of the cookie cut into 4″ x12″ or 3″ x 9″ and score in thirds. I split the difference in sizing in my packets. 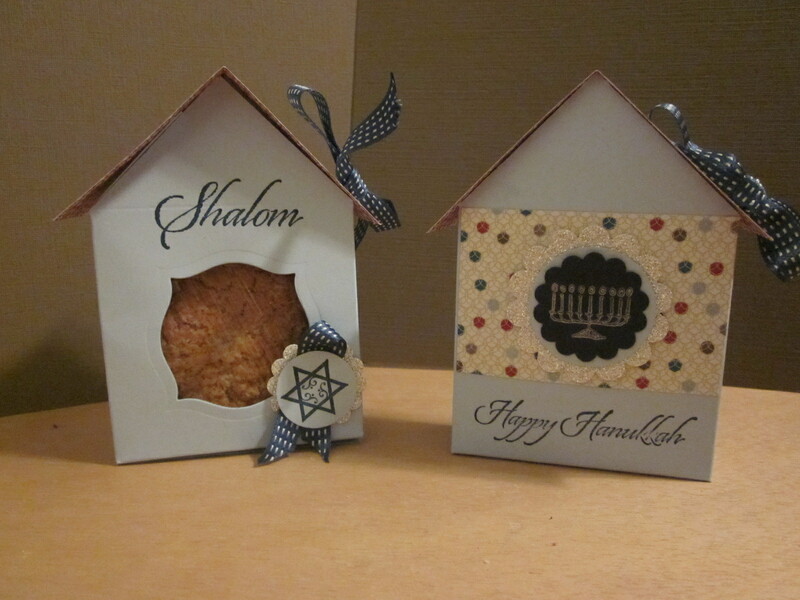 Going a little more upscale here’s my Hanukkah House mini gift boxes for friends and neighbors. 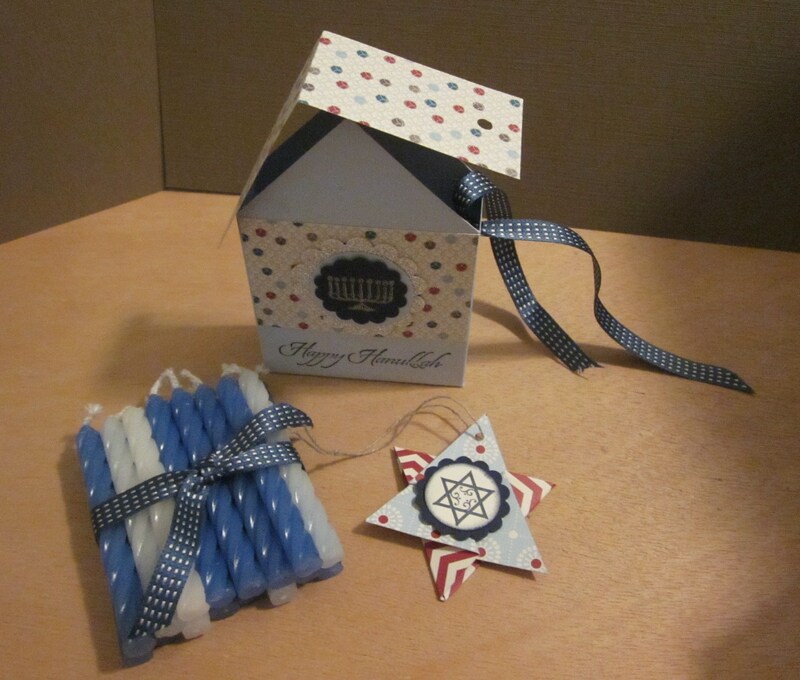 Here’s the little menorah house that at the moment is holding a set of candles and a star tag. Appropriate don’t you think? I loosened the roof and added an interior picture so you can get a feel for how the little house works. Kelli designed the mini’s to hold 3×3 post-it pads so anything that runs about that size will fit perfectly. I found I was able to get about 20 candles in the box along with the star tag. Paper: Bashful Blue, Night of Navy Cardstock, Silver Glimmer Paper, Festival of Prints Designer Series Paper Pack. 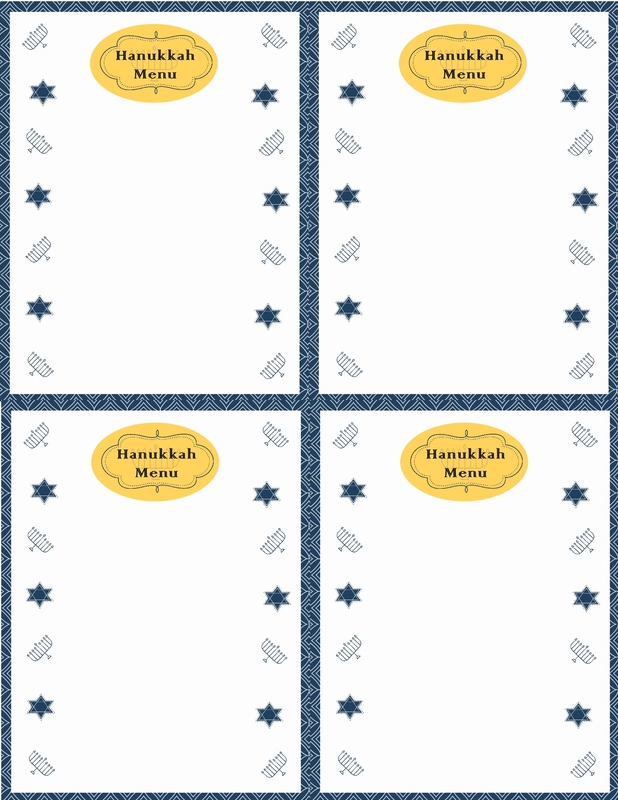 Of course with such a small amount of designer series paper used you could take advantage of our digital Hanukkah themed papers in the Hanukkah Happiness download and get quite a few parts for mini houses out of a single printed sheet. These guys are so much fun to make you’ll find it hard to stop. Takes about 10-15 minutes each once you get the hang of it. Our Festival of Prints papers are turning out to be quite adaptable too. When I first got the pack I thought of them as Christmas papers…then started looking closer and discovered over half of the designs would also work for Hanukkah! Hooray! Multiculteral paper designs. I love it! 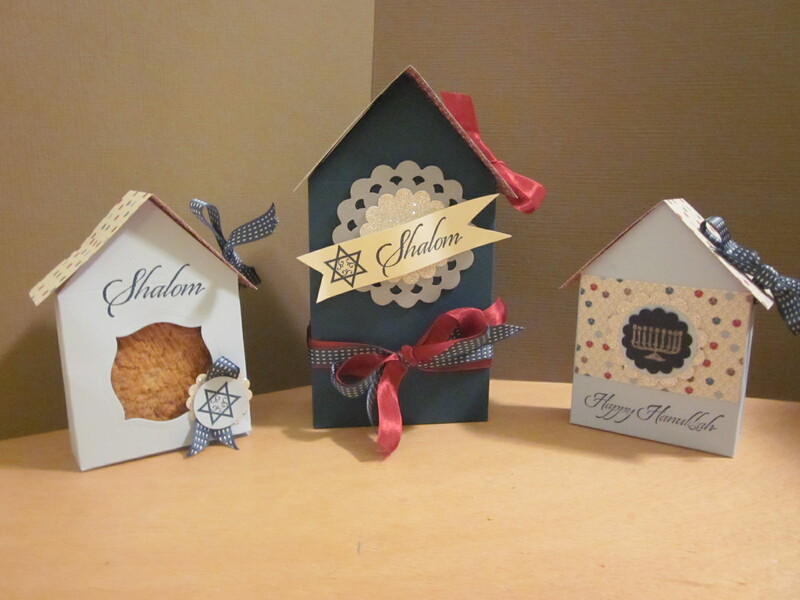 Of course these little houses will work all year round for any occasion in any color. Paper: Midnight Muse & Brushed Silver Cardstocks, Silver Glimmer Paper, Festival of Prints Designer Series Paper Pack. .. this item from last Sunday’s post with a gift card. If I can find a small dreidel and some chocolate gelt coins I’ll be all set. If you’d like to make a large House of your own you can find the basic directions and template on my old blog post here. Decoration and paper choices are entirely up to you. As you can see I’ve done them two ways (more actually since I made one for Valentines but never posted it. I did make one or two minor changes to the template this time around. Instead of scoring and folding the diagonals for the roof I trimmed them using my Stampin’ Trimmer (love that tool) the same as Kelly did on hers and I did the roof attachement like hers too. If you read my past post and watch Kelly’s video I think you’ll be able to figure it out. If you have any questions please email me and I’ll be happy to help. Star Fold tag direction links can be found here. I wish you could see these close up and in person as they shimmer and shine and the roof details show up much better. So perhaps you’ll make some of your own? So you can see? Weren’t Miriam’s digitally created coffe covers amazing! Simple to create and print too! I love the new downloads! 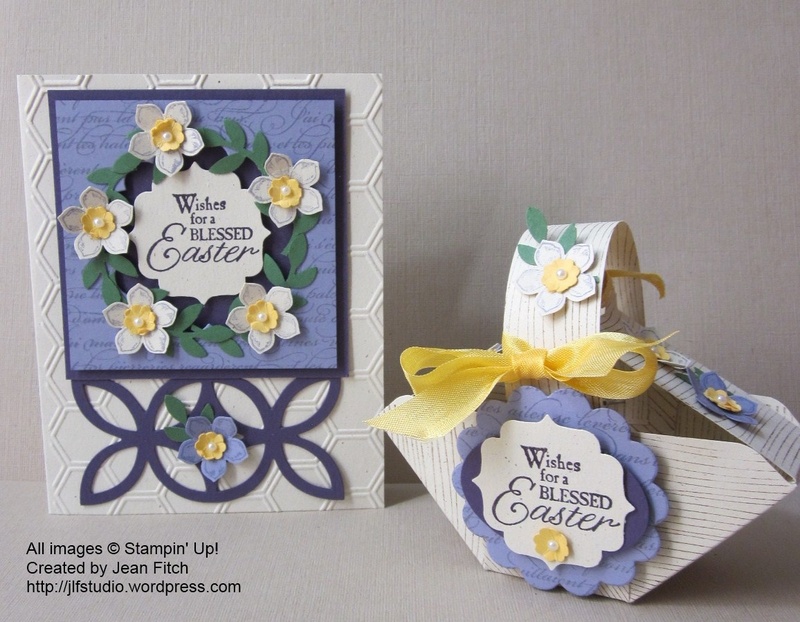 And don’t forget to check out Stampin’ Up’s My Digital Studio Facebook Page you could win a whole year of My Digital Studio downloads and the program itself! Lots of prizes to be had for adding your Like to the page. Thank you to everyone who have visited these past 6 days of the hop. We hope you have enjoyed all the projects and found lots of inspiration! If this is your first visit, go back and visit Day 1, 2, 3, 4, 5 and 6. Keeping it simple today. 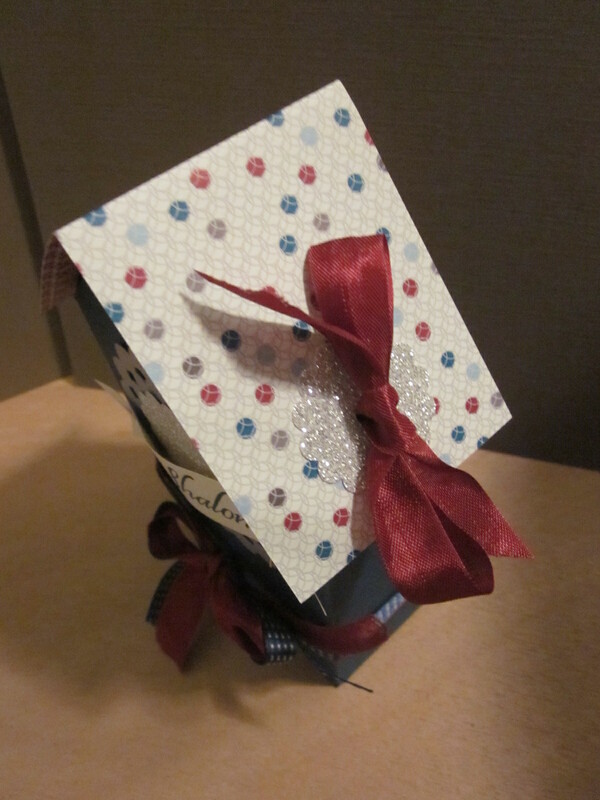 A very simple card and a simple gift card holder. And the alteration to my menorah I forgot to add for the last hop picture. 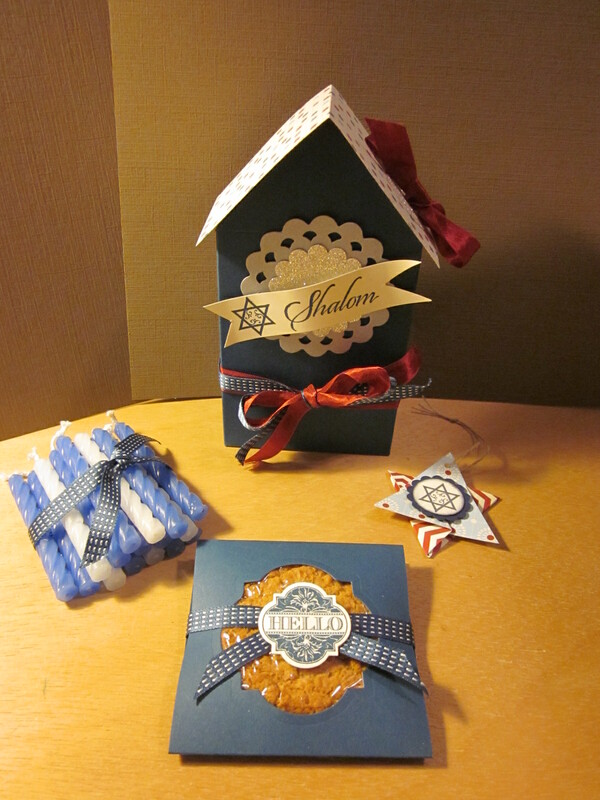 Can you tell I’m still loving the Jewish Celebrations set from the Holiday Catalog? Loving the papers from the Festival of Prints Designer Series Paper Stack too. Such a convenient size to use and store. This large pack of smaller sized paper is perfect for any crafter. The designs are not specific to any one holiday and so work for all. It’s all about the colors and the patterns. there are even some I see myself using for Spring or for Valentines or Father’s Day or……you’re only limited by your imagination. 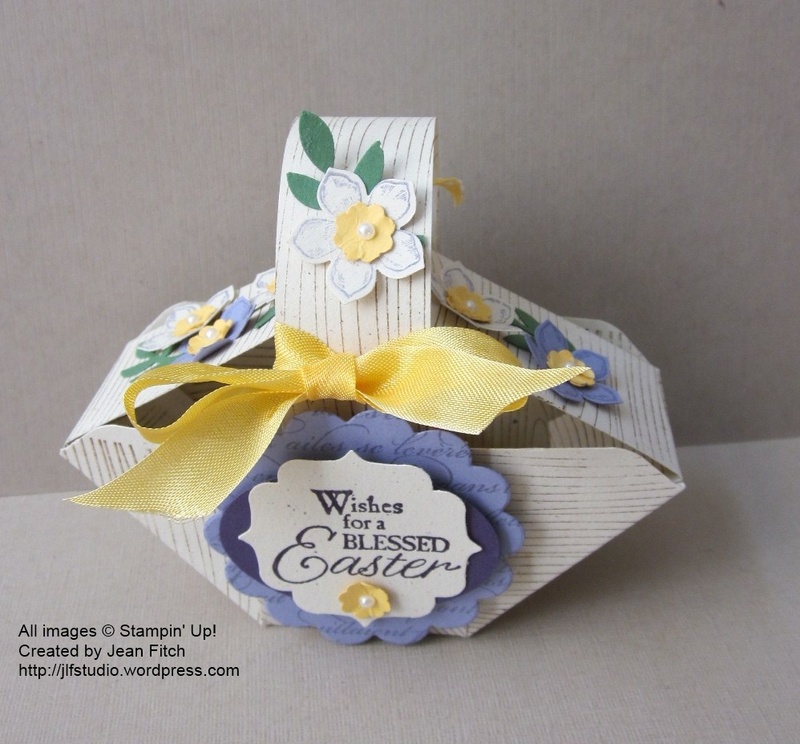 All images & die cuts copyright Stampin’Up! 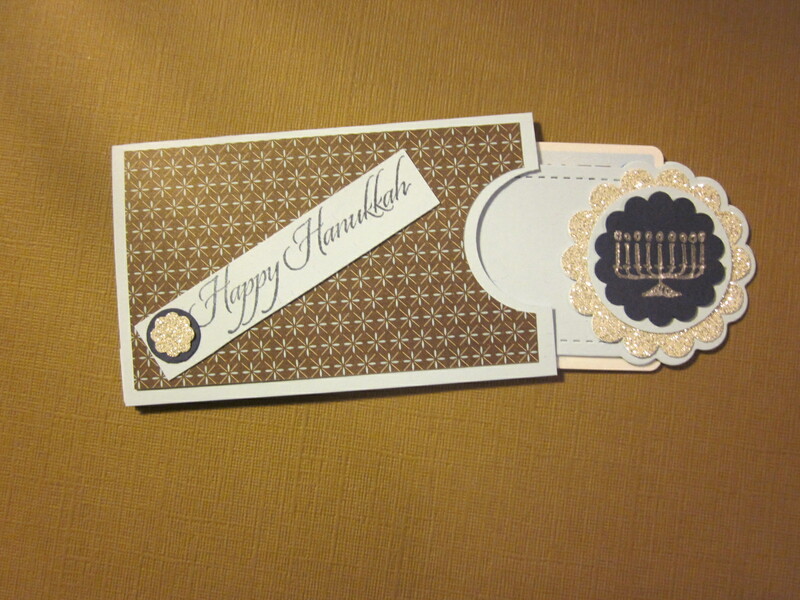 A few people have asked what the inside of a Hanukkah card might look like so here you go…. 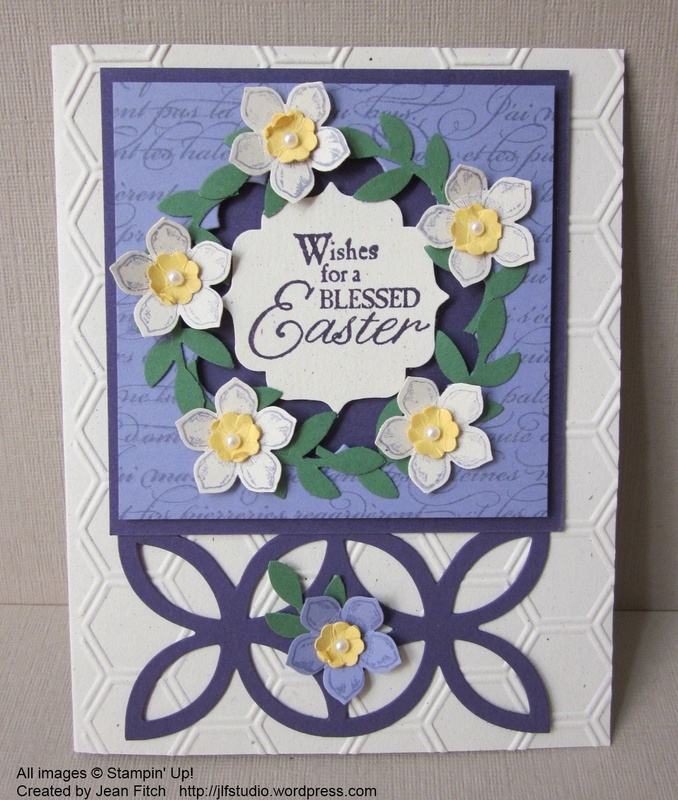 It’s hard to see but I used the Illuminate Glimmer Ink on the Starburst Jumbo wheel to add a bit of texture to both the Midnight Muse card base and the Whisper White Oval Accent die cut. 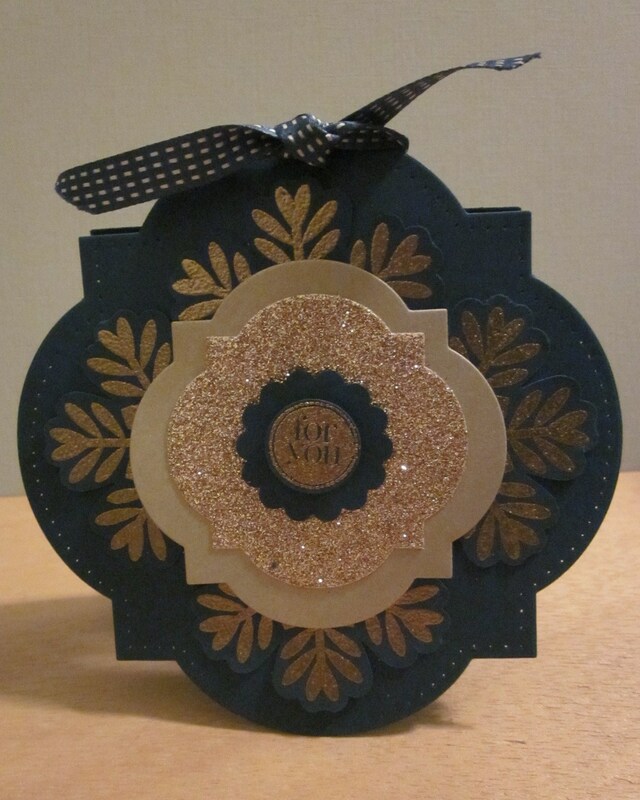 While hard to see in the pictures it’s perfectly visible in person and I wanted to pair this card with the gift card holder because those same stars are similar in pattern to the designer series paper on the holder. The picture above is the closest to the actual Bashful Blue and Early Espresso Coloring. The following not so much in the color accuracy department but they do show how it all works. 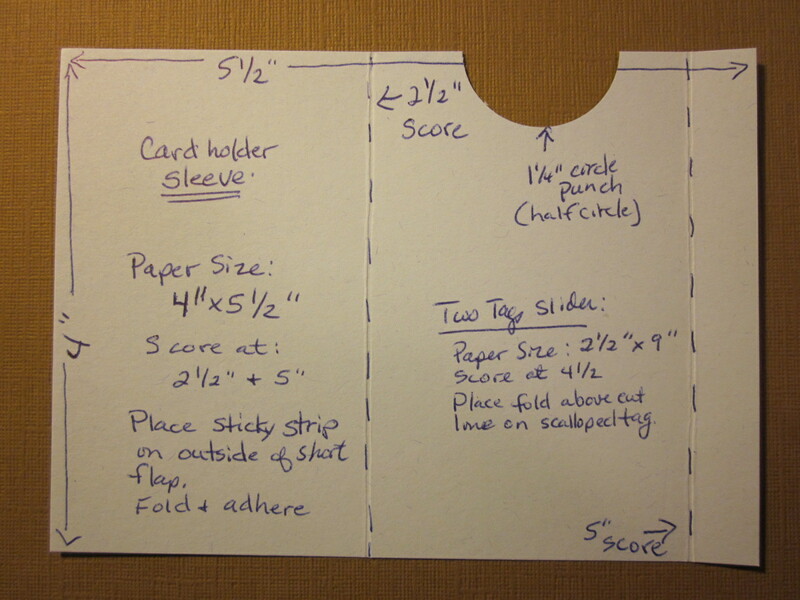 The holder uses the same paper trick I used for the napkin ring holder in this post. Long strip doubled in half placed just above the cut line. This time you just staple the scalloped ends together and cover with a scalloped punch piece (both sides if you want to keep it neat and don’t want the staples showing. 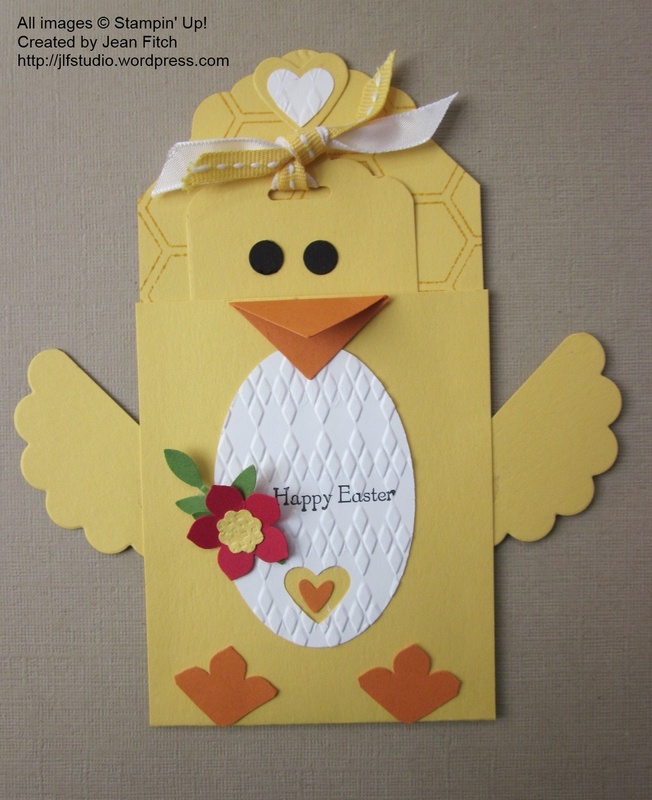 😀 Insert your card into the folded piece (I’d use a glue dot to hold it in place) and when the scalloped end is pulled the card will appear from the cover. Were you hoping for a template? How about a full set of directions with more pictures? And a little credit. I’ve seen the basic idea several places but the tutorial I mostly followed was here . I’ve no idea who the originator was. I created my own template and detailed directions to share. Enjoy! 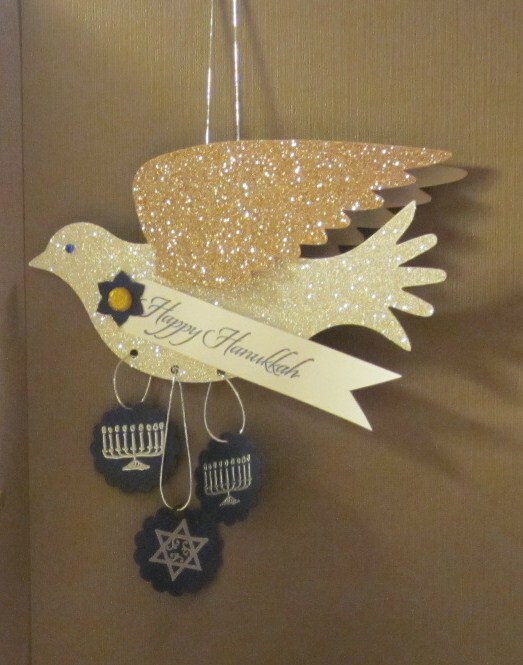 One last note…I haven’t forgotten about the directions for the Hanukkah Dove or the extra details on the star folds I promised. Life with stamping events, new Spring Catalog preorders and rain…lots of rain has intervened just a bit. But I’ll have them up next week for sure. 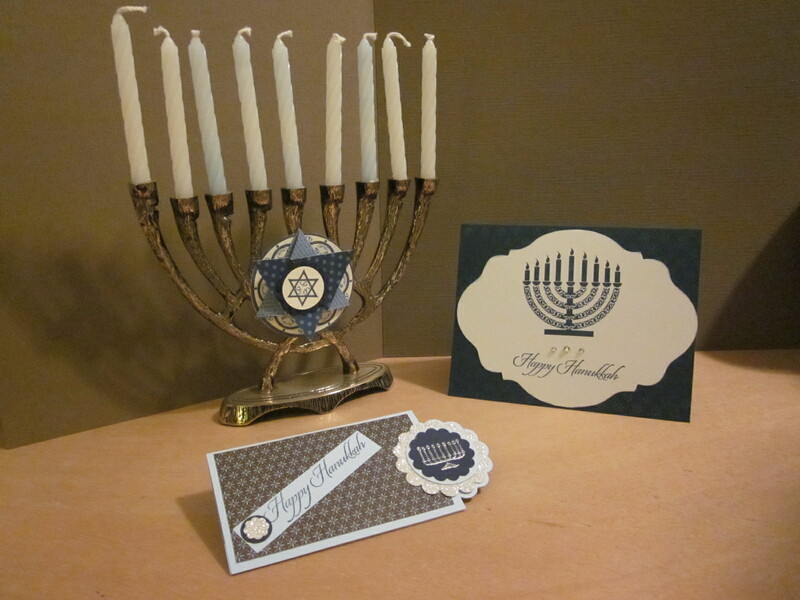 Make sure to come back again and visit on Wednesday for Day 8 of our Hanukkah Blog Hop! Thank you to everyone who have visited these past 5 days of the hop. We hope you have enjoyed all the projects and found lots of inspiration! If this is your first visit, go back and visit Day 1, 2, 3, 4 and 5. Happy Day 6 everyone! I keep thinking it just can’t get any better and then it does. All of my hop sisters keep outdoing themselves and setting the bar mighty high. Last Sunday was a case in point. I was only able to finish the menu in time so had to promise the rest for today. In the meantime I was blown away by the table settings and decor Andi, Miriam and Yapha came up with. So today as promised here’s mine…finally finished! And as the others mentioned we came up with the idea for showcasing table setting projects from Shelli Gardner, the co-founder of Stampin’ Up!’ and her November Creative Challenge . Don’t you just love a challenge…really gets the creative juices going. Picture the dove hanging from the chandelier above the table. The lights turned down low. The light reflecting from the silver and shimmer of the place cards, the place settings and the napkin rings and best of all the company and the glow of the candle fire as the menorah shines in the window and out into the dark. A true Festival of Lights…glimmer and all. One practical tip though: DO NOT hang the dove from your computer screen for inspiration while writing a post. Did you know computer screens get quite warm? Yep…glue dots and adhesives aren’t real fond of up close and prolonged warmth! Other: Gold Glimmer Brad (Basics Collection), Silver embossing powder, heat tool, Simply Score, Stampin’ Trimmer, My Digital Studio (menu card), Midnight Muse Striped Satin Ribbon, Silver cord (retired SU), Rhinestone Jewels, blue sharpie for coloring the birds rhinestone eyes, crop a dile, piercing tool, glue dots and snail adhesive. On to the descriptions. With the exception of the bird the rest of the table setting pieces were quite simple. Mostly a matter of die cuts and punches with a bit of heat embossed images thrown in. 4-1/2″ x 3″ piece of Night of Navy Cardstock scored at 2-1/4″ and folded to create the tent. 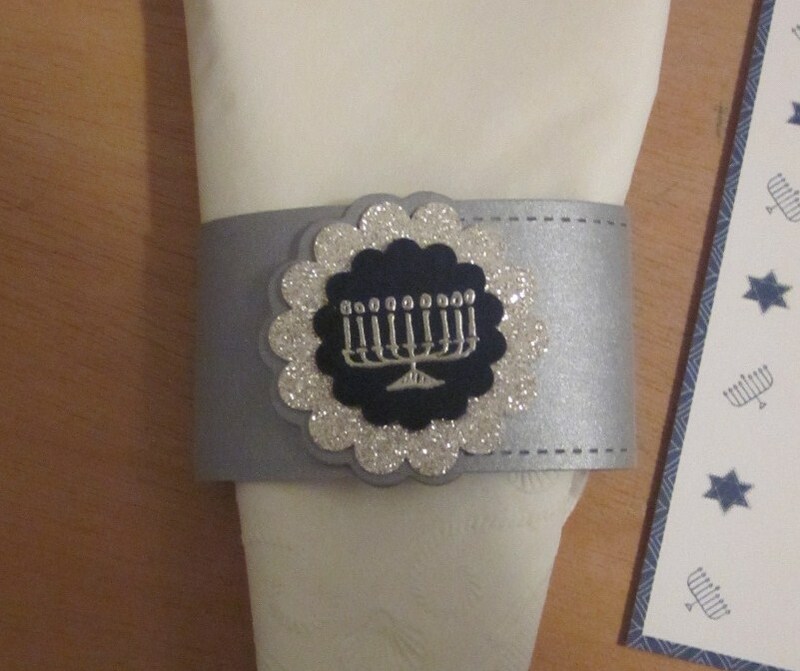 Stamped with the menorah image from Every Little Bit in Versamark and heat embossed with silver EP. Die cut the doily like round image from Perfect Pennants in Brushed Silver cardstock. 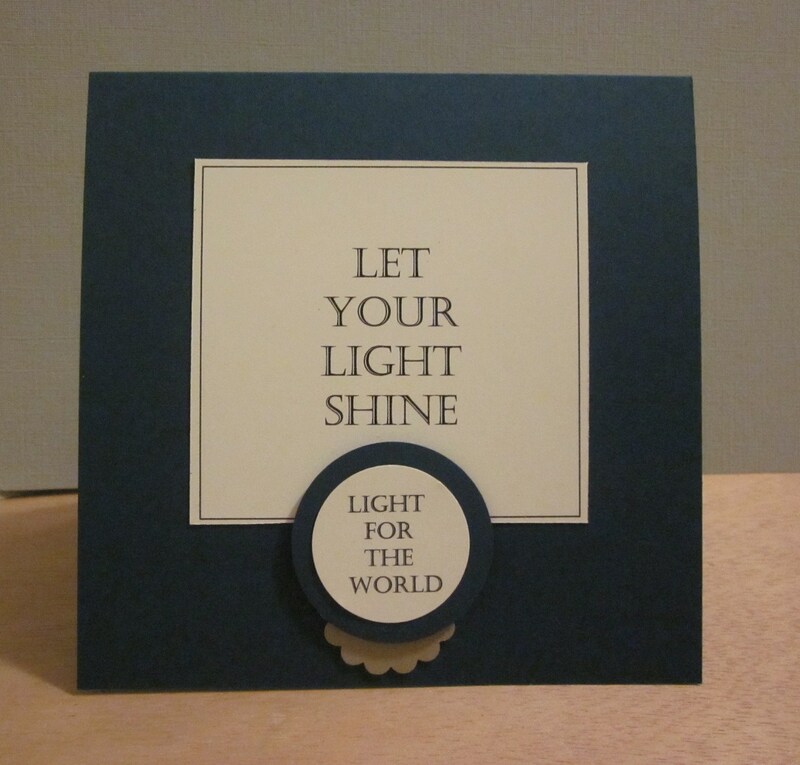 Punch a Night of Navy 1-3/4″ circle and write name with Silver Stampin’ Dazzle Marker. Adhere circle to die cut and attach to the base card. My Digital Studio Design. Create your own – see description or grab the download from the Day 5 Hop Post here. That little beauty is a tad trickier and deserving of its own post don’t you think? 😀 I’ll try to have it finished before the weekend. 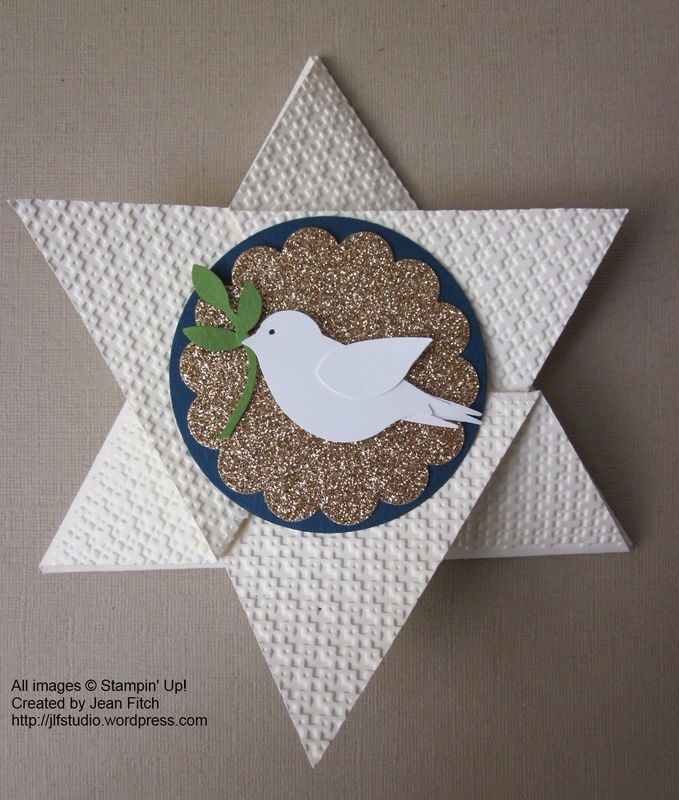 Should mention too that my dove was also inspired by the Late Night Stampers Challenge #201 – Add Sparkle. My original plan was to use just the brushed metallic cardstocks then I decided to add sparkle with the glimmer paper too (now the Brushed Gold is only on the backs of the wings). It really does add sparkle to the table setting don’t you think? One last look at the basic pieces. With all that beautiful glimmer paper bling involved I had to go for a low light solution for the photography so we wouldn’t see lots of hot spots and lens flare or glare. That being the case I kept to the essentials and left out the silverware and dishes. I also snuck all the candles into the menorah for picturesque balance really since I’m planning my dinner for an earlier night during the holiday. Can you tell I also discovered that storing white and blue candles together in the same box makes for an interesting effect when you are ready to use them? Ah well…blue and white is my color scheme. 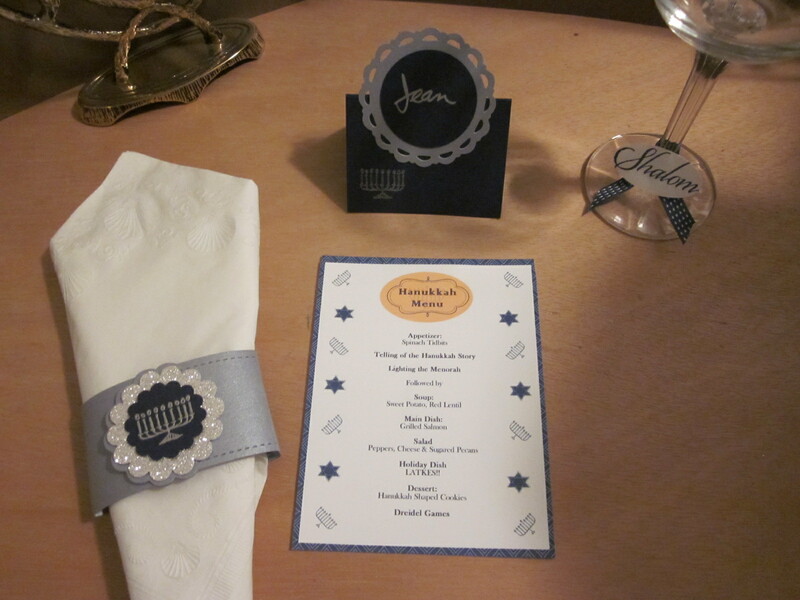 Stampin’ Up’s Night of Navy and Whisper White to be exact! Did you notice that shalom tag on the wine glass? There’s a reason apart from the artistic. When my friends and I get together, especially if there is family there as well, the conversation can, at times, become shall we say…a little…spirited. 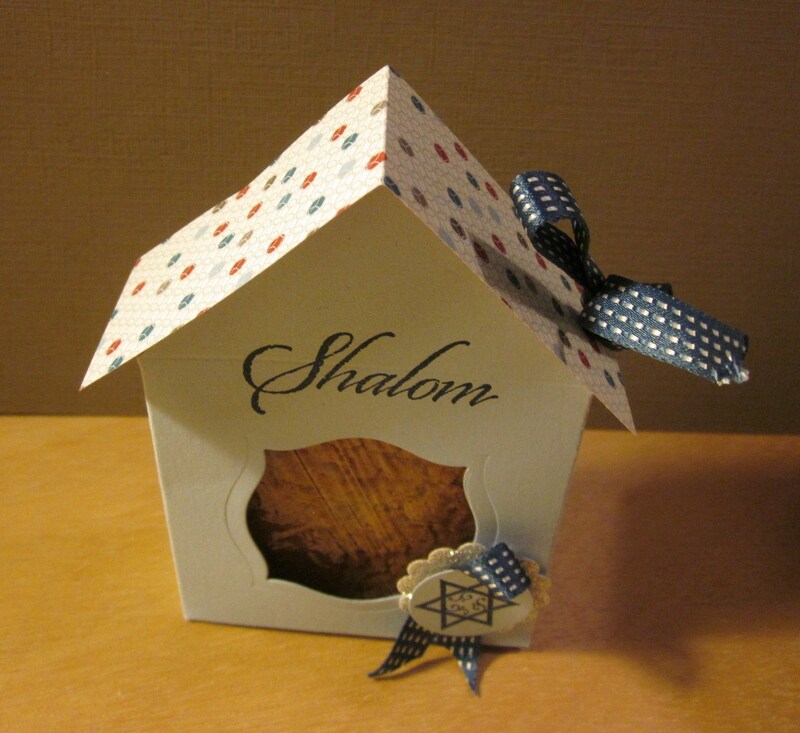 Therefore the shalom is both a greeting and a reminder of peace and harmony. On a side note: I was asked by a friend the other day the meaning of shalom. She had seen it as a text image in the new Jewish Celebrations stamp set and was trying to figure out different ways to use it. I went searching and found this very apt description online of its many layers of meaning. Hebrew words go beyond their spoken pronunciation. Each Hebrew word conveys feeling, intent and emotion. Shalom is more than just simply peace; it is a complete peace. It is a feeling of contentment, completeness, wholeness, well-being and harmony. So…since another phrase my family seems to follow runs…In Vino Veritas (in wine is truth)…and I plan to serve wine with my Hanukkah celebratory meal…I thought it best to be prepared to respond…Shalom. I’m hoping the tag will be a gentle reminder. Or maybe I should rethink the wine? One more quick reminder…today is the last day for the Online Extravaganza Sale. Have you called your demonstrator with your order yet? Sale ends shortly before Midnight which means…times running out! 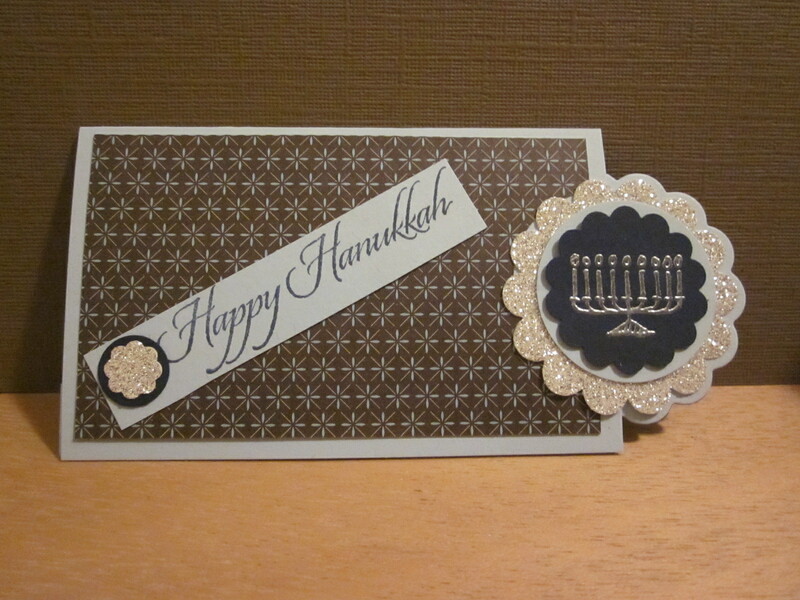 Make sure to come back again and visit on Wednesday for Day 7 of our Hanukkah Blog Hop! 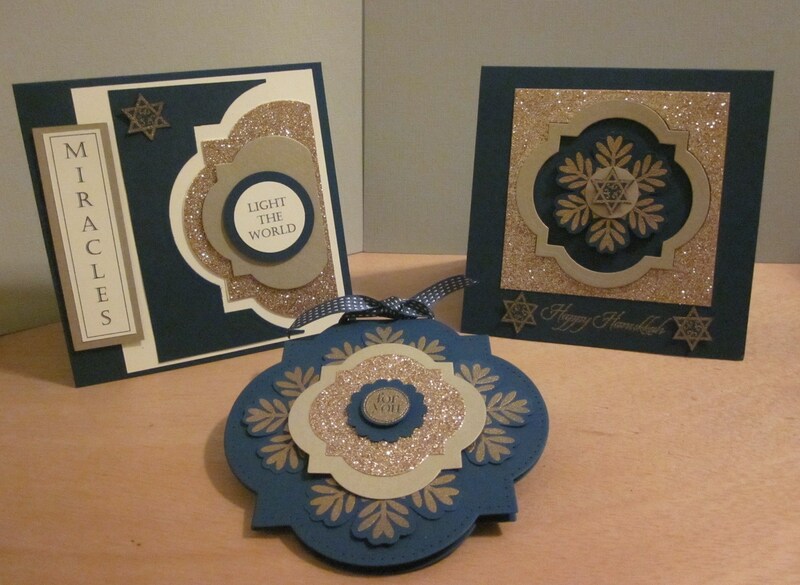 Wow, we are half way through our Hanukkah Blog Hop! Thank you to everyone who has visited these past 4 days. The response we have received has been extremely positive! We hope you enjoy the remaining 5 projects! If this is your first visit, go back and visit Day 1, 2, 3 and 4. And don’t forget to make the full hop rounds as you do so. Wouldn’t want you to miss a thing after all! With Thanksgiving last week is it any surprise that food has been on my mind? 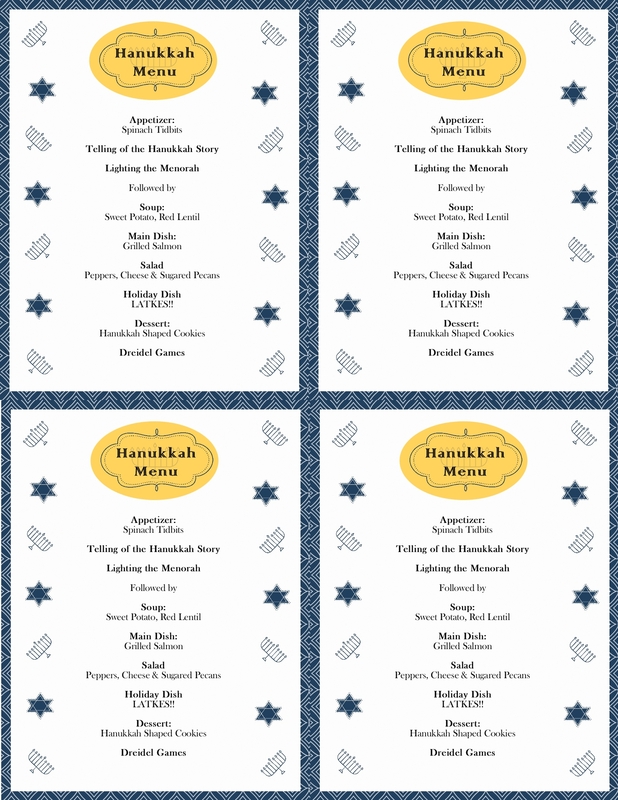 So of course it seemed the appropriate weekend to work out my Hanukkah Hop Menu and Table decorating ideas. Well…got as far as the menu anyway. The Table decorating will have to wait for Wednesday. Must have been all that turkey that put me to sleep! So just to be on the safe side there won’t be turkey for Hanukkah. After all…have to keep sharp for those marathon Dreidel Games right? So when planning a menu where does one start? In my house Google generally is involved and it didn’t let me down this time either. Neither did my Stampin’ Up digital design program otherwise known as My Digital Studio or MDS for those in the know. You did know that you can purchase that program as a download until November 28th for 50% off right? 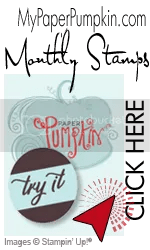 Stampin’ Up has it’s annual Online Extravaganza running through Wednesday of this week. Their own version of Black Friday & Cyber Monday with a few other days thrown in for good measure. 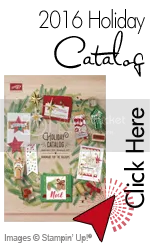 So don’t forget to check in with your demonstrator (no the orders don’t have to be placed online) or the Stampin’ Up online store if your still in your jammies. I’m still planning myExtravaganza shopping strategy so haven’t yet gotten the upgrade to MDS2 but it’s coming…before Wednesday for sure. So today I turned to the stamps that came installed with my original program. Holiday Blitz and Frames with a Flourish may be retired as far as the rubber variety goes but in MDS they live on! And I still love that Villa designer series paper (also included with MDS) that I used on the Dreidel song songsheet I showed you on day 2 of the hop. 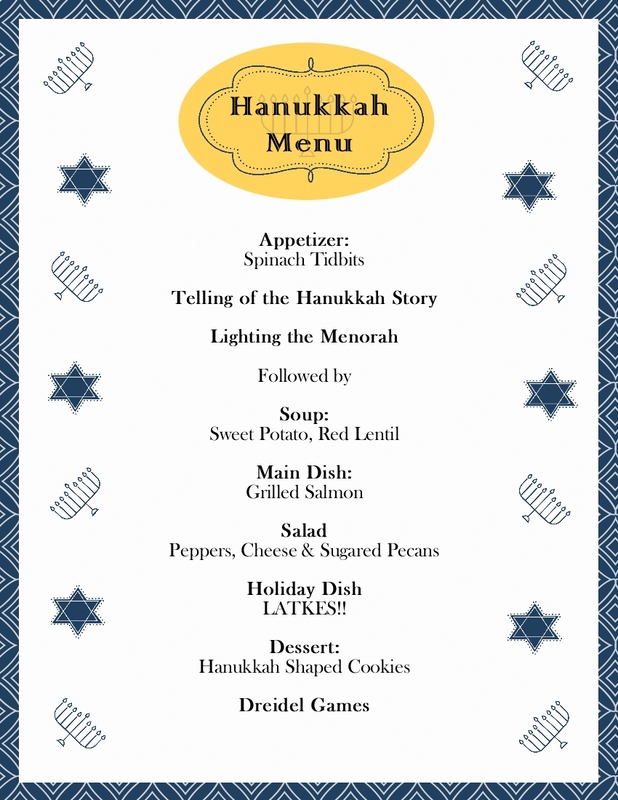 In fact…you could say that songsheet and paper dreidel inspired my menu in some ways. Looks like we have a coordinated set coming together don’t you think? Might have to repeat that when I go to scrapbook it all! I wonder…has anyone ever scrapped a Blog Hop? Hm…now there’s a thought. Create a digital scrapbook of our hop and share it with my hop sisters. What do you think? Doable? Simple right? Well the design anyway. Most of the recipes are too for that matter and in case you are interested I’ll share the links for where you can find them. My plan is to take this design and drop 4 onto a single page that will print me just the right size to cut and trim with my brand new Stampin’ Trimmer or my Stampin’ Up Tabletop Cutter (that just happens to be on sale through Wednesday), then mount on a cardstock backing and place on each plate at the table. I’ll also print a larger version to set on the Buffet table so guests can see what they are selecting from. Now the biggest decision…what type of Latkes to make. Traditional potato or some other healthier variety. I’ve found a couple of recipes that look interesting. Including one that uses cauliflower! As you can see my menu card does double duty. It outlines the menu and the schedule. At the library the other day I found a childrens book that tells the story of Hanukkah in simple and uncomplicated terms. Now I’m trying to decide whether to just read the story as is, or create my own storyteller version using that book as a basis. To get the party started I thought we’d have a quick nosh on the appetizers then settle in for the story and the main event…the lighting of the Menorah. Then in the glow of more lighted candles on the table we’ll sit down to a warm and filling dinner. Perfect for the weather we’ve been experiencing here in Southern Oregon. Not quite enough rain to float Noah’s ark but enough…and cold…yep…it’s winter alright even if the calendar does still read Fall. And then of course…what would be the best ending to the evening…Dreidel games and cookies! Wait till you see how I’ll package some extra cookies for each guest to take home as a treat. Surely I’m not the only one who gets hungry at midnight? Here’s your own Hanukkah Treat. No time to create a menu card of your own? I’ve created a sheet of blank ones that you can handwrite in the menu or pull up in Word and drop a text box on top to fill it all in. Just print cut and mount on cardstock. Our Whisper White cardstock works great in most printers by the way if you just want to print and cut. http://kosherfood.about.com/od/hanukkah/tp/hanukkah.htm lots of tasty latke variations – some healthier than the traditional Potato versions. http://kosherfood.about.com/od/hanukkah/a/han_menu_dairy.htm– dairy menu – that’s where I got most of the recipes featured on my menu. Who knew that about.com had food as good as the food network site? http://www.foodnetwork.com/recipes/food-network-kitchens/celery-root-slaw-recipe/index.html– celery root slaw – discovered this at Thanksgiving and while I didn’t add it in here it’s worth a look. 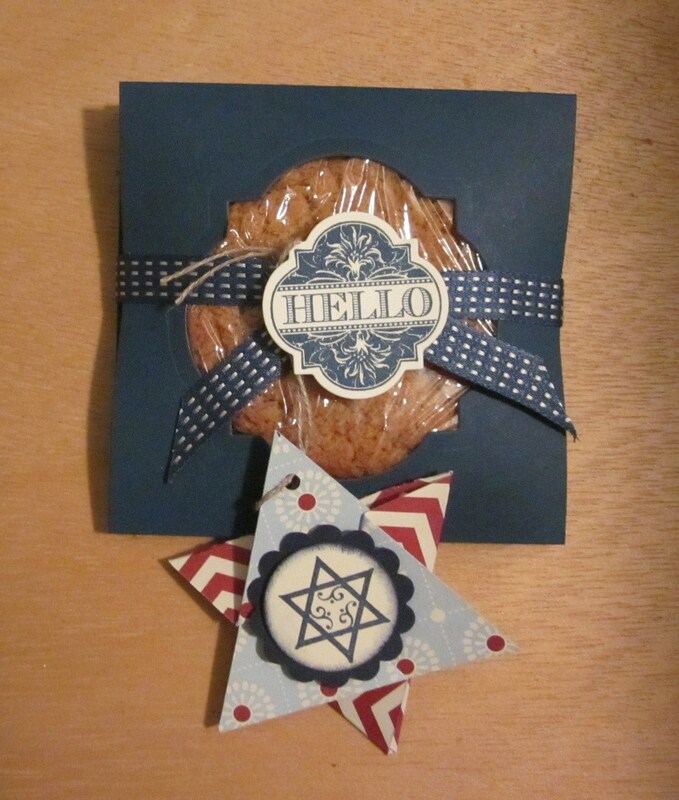 http://www.kosherinthekitch.com/category/cookies/ – cookie ideas and if you hit the home key some amazing recipes! That’s it for this addition of the Hanukkah Hop Day 5. I hope you had a wonderful Thanksgiving with all the trimmings. 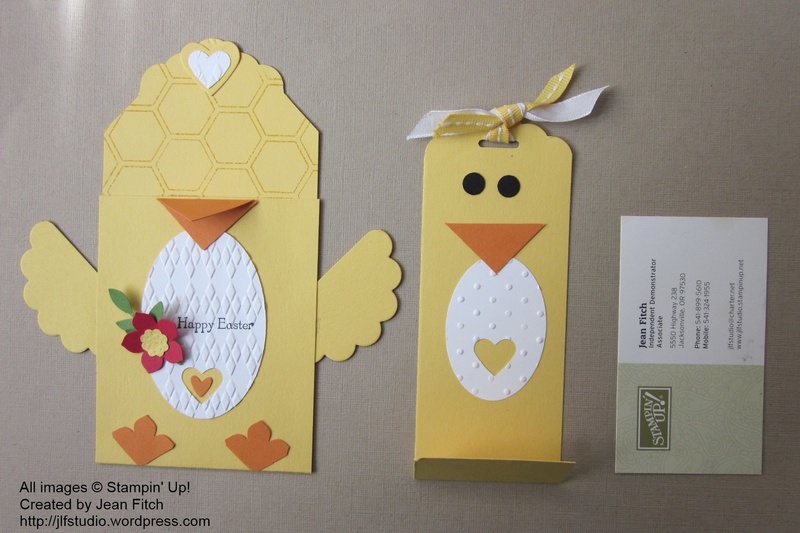 And don’t forget to check out Stampin’ Up’s Online Extravaganza (that’s not all online) that runs till Wednesday. 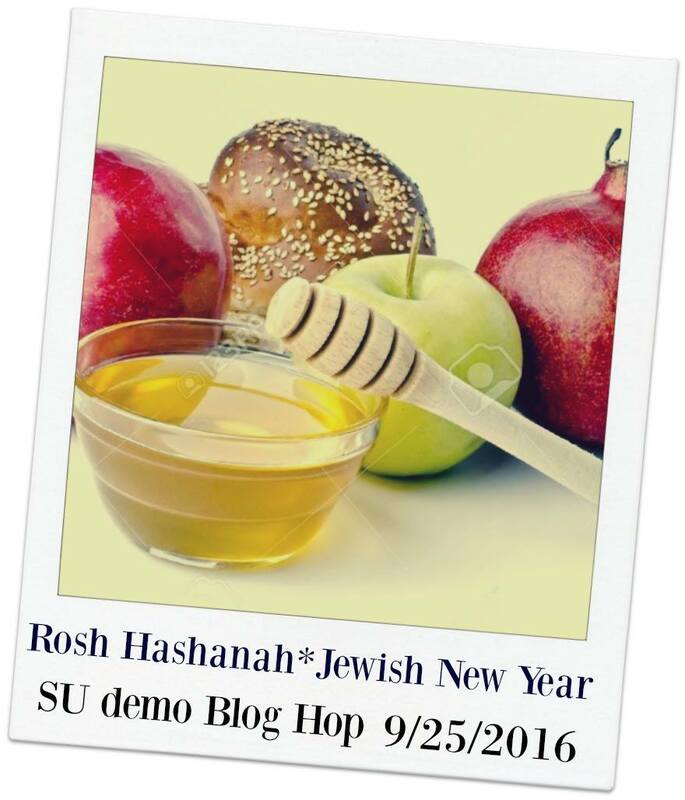 Make sure to come back again and visit on Wednesday for Day 6 of our Hanukkah Blog Hop!